NEW SMYRNA BEACH, Florida - A 58-year-old surfer was bitten in the foot by a shark Monday morning off of New Smyrna Beach, Florida, according to Volusia County Beach Safety Ocean Rescue. The surfer was bitten just before 10 a.m. when he was 30-40 yards out in the ocean. The injury was considered minor and the surfer was not transported to the hospital. In 2016, Volusia County (Daytona Beach area) had the largest number (15) of unprovoked shark bites among Florida counties, nearly doubling Volusia's recent five-year average of eight attacks per year. 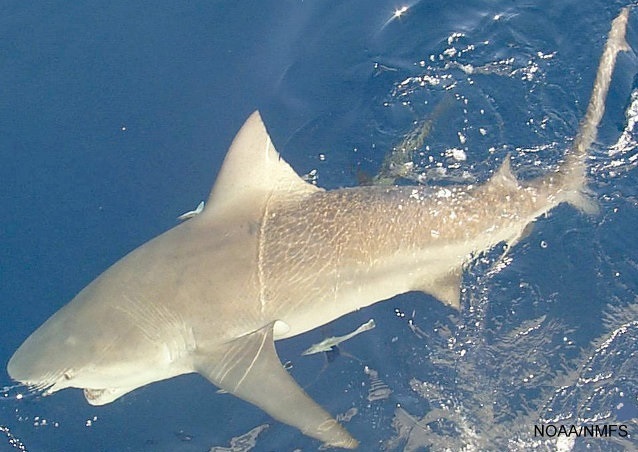 University of Florida researchers say that the higher number of shark bites off the east coast of Central Florida is attributable to high aquatic recreational use by both Florida residents and tourists, including large numbers of surfers, and to the rich nature of its marine fauna. Florida saw an increase in unprovoked shark attacks in 2016 and accounted for 60.4% of all shark attacks in the U.S. and 39.5% of the world’s total, according to the University of Florida International Shark Attack File. How to avoid shark attacks: In addition to spotting the telltale 'JAWS' shark fins, fish jumping out of water or sea birds hovering at the surface of the water could indicate the presence of feeding sharks. Swim near a lifeguard area (their elevated position on a lifeguard tower is better for shark spotting) and pay attention to warning flags.